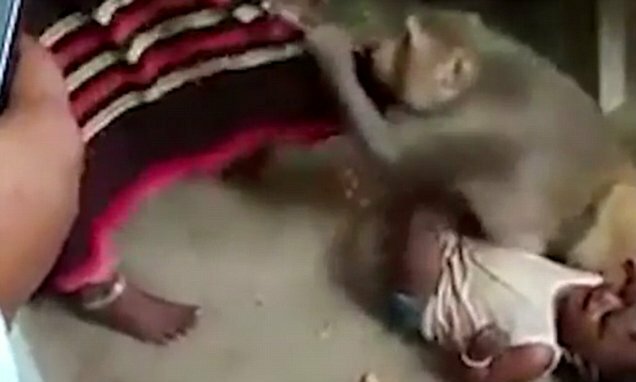 This is the terrifying moment a monkey pins a baby to the floor and attacks villagers who come near it. 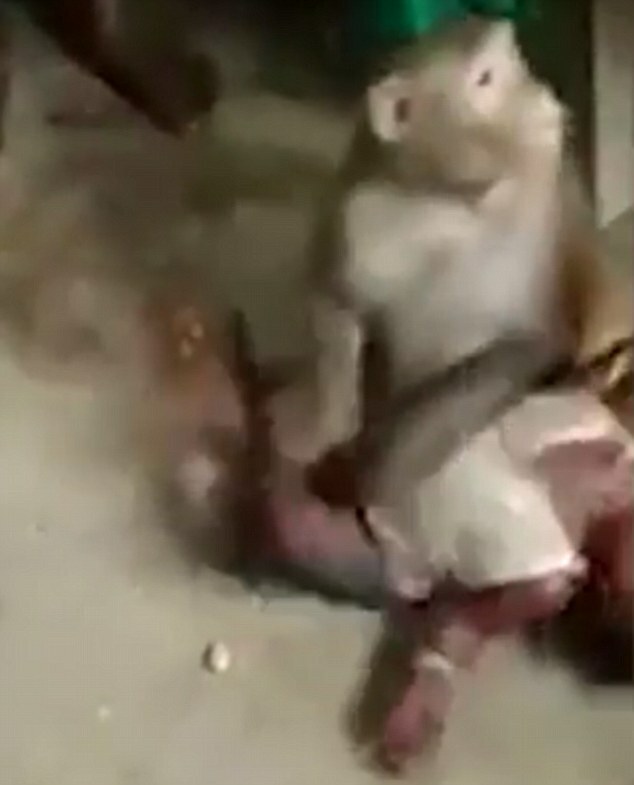 The possessive primate reportedly barged inside a home in the remote village of Karnataka, India, and tried to steal the youngster. 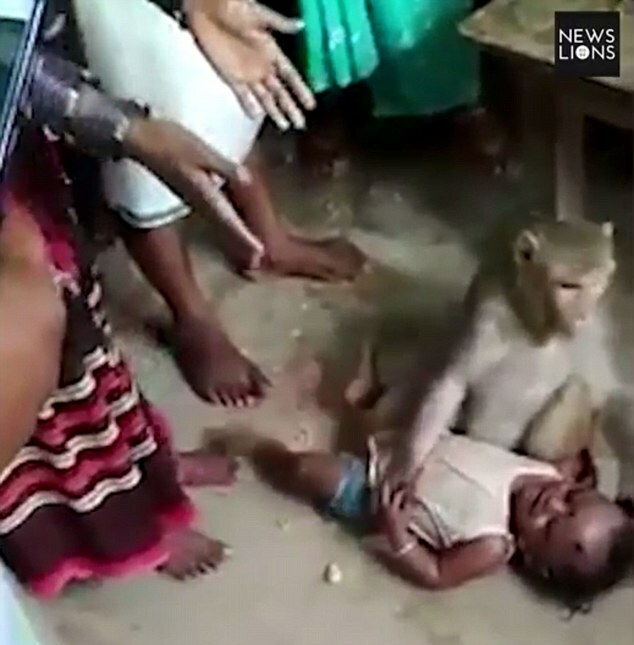 In the video, the monkey can be seen hovering over the child as a group of locals try to distract it. 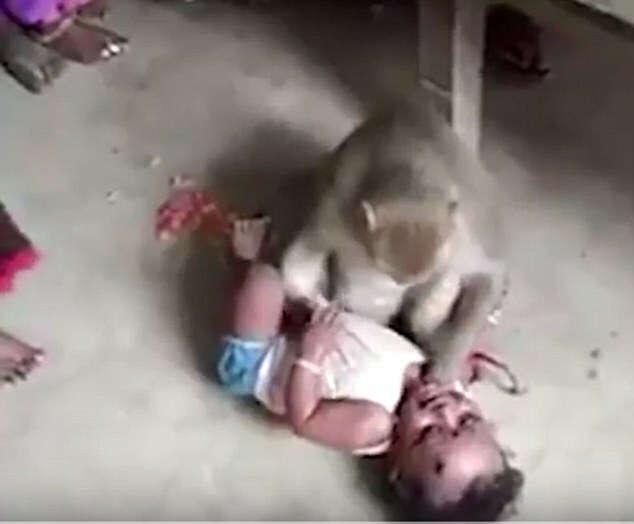 The animal, becoming increasingly agitated, attempts to lift the baby but people nudge it to leave the youngster alone. 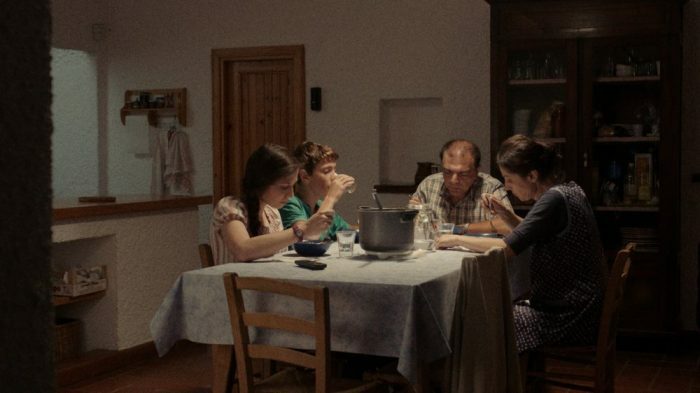 One woman pours a bag of food on the floor to tempt the ape into letting go of the child, but the animal doesn’t fall for it. 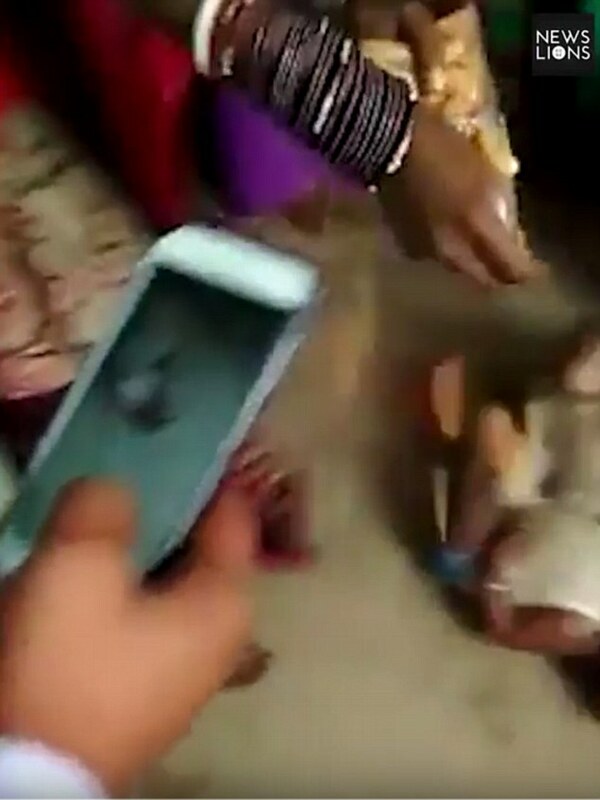 Despite being in danger, the baby appears content and even cracks a smile as he squirms on the floor. 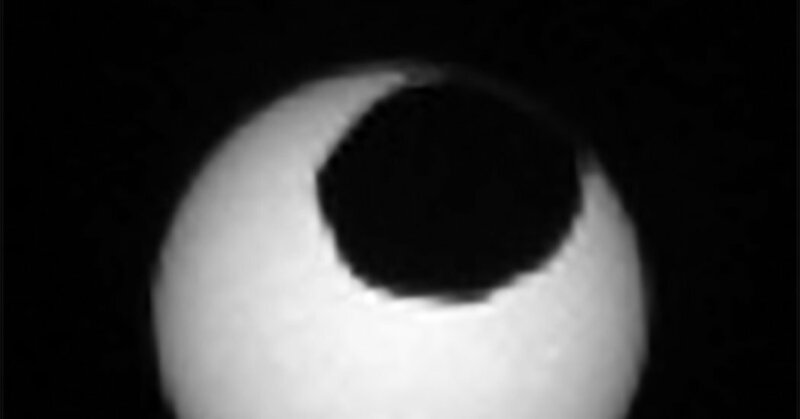 But bruises on the child’s face suggest the encounter was much rougher before the cameras started rolling. 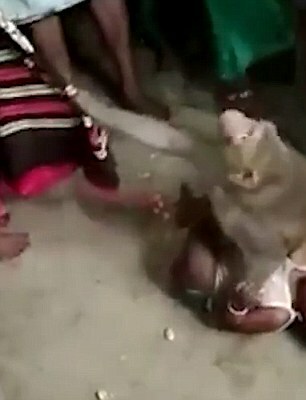 The child’s mother reaches for her son and tries to pick him up but the monkey attacks her and pulls on her dress with its teeth. 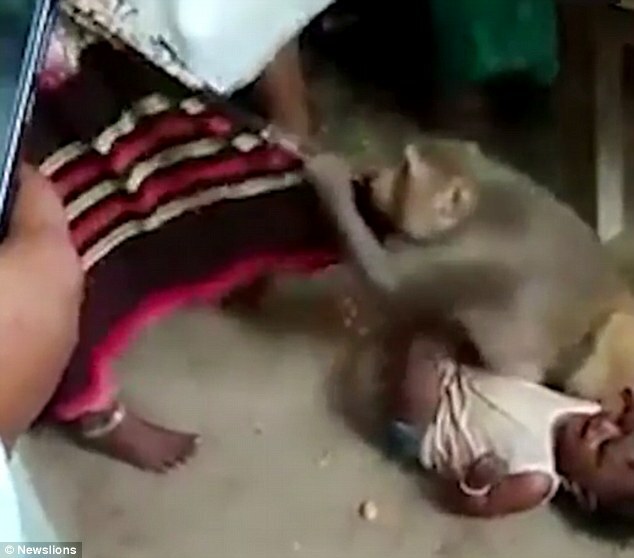 A man then grabs the baby by his arm, while the primate is distracted, and yanks the boy to safety. It is yet unclear if the monkey was caught by the people and handed over to the forest officials. 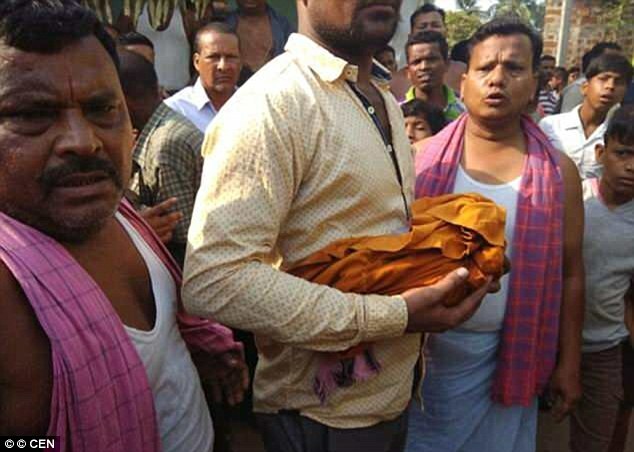 In a similar incident in April, a monkey snatched away a newborn from its mother’s side at Talabasta village of Banki in Cuttack district of Odisha. 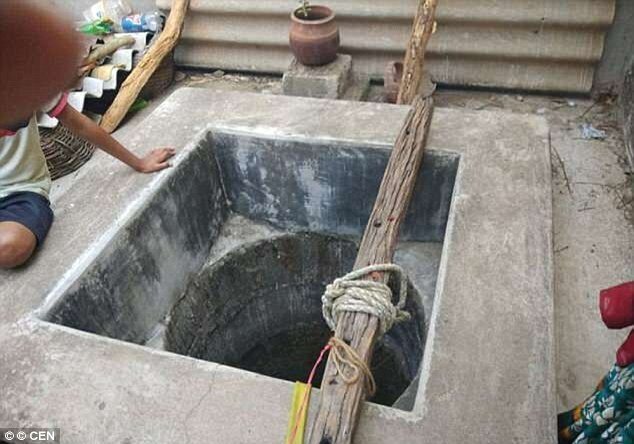 A day later, the baby was found dead in a well. 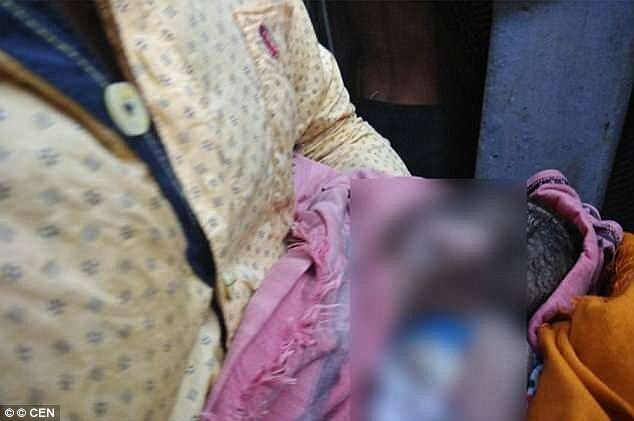 The family members of the 16-day-old baby first spotted the body floating in the 15-feet-deep well and retrieved it with the help of villagers, police said.